In so many ways, forgiving others is difficult and sometimes impossible without the love of Jesus flowing through our hearts. Forgetting the offense of our friends or family is not nearly so easy as forgiving them. An offense from friends or family is usually a very deep offense anyway and forgetting it takes lots of prayers and wisdom gleaned from the Bible during the time that we spend trying to heal from it. Of course, Satan doesn’t help either. He keeps bringing up the offense and bringing it up, and bringing it up until it is maddening! I struggled with this after my divorce years ago, but with LOTS of prayers and reading the Bible and more prayers and more reading of God’s Word I have finally forgiven my ex-wife, but there are still times where Satan will dredge a memory or two back up. So, the process is never really over at least in this life. We are forgiven of our sins through the blood of Jesus and it was shed for every person on the Earth, but it is up to the Spirit drawing you to Jesus and convicting you that you need Him which will convince you to give your heart to Him and ask forgiveness. It truly is your decision to accept it, God doesn’t force salvation on you. Even when you know you need Him it is still your decision and if you decide not to accept Him then if you die without Him, you are responsible for where your eternity is spent. Forgiving others is part of our walk with Jesus. The Bible says “if you come to the altar and remember a slight against your brother, leave your sacrifice and be reconciled first“; so forgiveness between brothers or sisters in Christ is more important than a sacrifice. Because with unforgiven slights in your heart, you can’t fully serve the Lord in gladness until it is taken care of. We are supposed to allow the Love of Jesus to flow through us toward others even when we feel slighted or hurt in some way. Even if it is something that may be a month or even a year in the past, get it out in the open and ask forgiveness for it even if one party has forgotten the offense, the hurt, and the pain can still be there. Through the Spirit of Christ and some determination, we can forgive even the most heinous of offenses with time. But that takes a lot of prayer and meditation on the Scriptures and seeking the Lord’s will in your walk with Him. Forgiving is not easy and forgetting an offense can be even harder, mainly because Satan and his cohorts will bring these memories to the front again even when you have managed to forget them for a time. God loves each of us much deeper and intimately than you can imagine but we won’t truly know the depth of His love for us until we are in Heaven with Him. That is why we must walk with Him on a daily basis during this life so that we can truly enjoy His Presence for eternity! Sometimes we think that we are on the right road or path when we are really on the wrong road. So, how can you find out which road you are on? The first clue is finding out how many actual friends of yours are on it too. If you are alone or have found new friends then you are very likely on the right road. If most of your old friends are with you and you are still going to the places that you always have, then you are on the wrong road. Many people think that the path which leads to Heaven is one which is traveled heavily, but Jesus said that the road to Heaven is a narrow one and there are few who find it. The broad road may lead upward for a while but in the end it leads to hell. The world is on that broad road which so many seem to truly enjoy walking on. Why? Because it is easy and carefree with no thorns or rocks and it isn’t very steep. Satan makes it easy to believe that you are on the right path and it is so fulfilling in this life to walk on it because of the rewards you have in this life. When it seems too good to be true, it is. Money, fame and fortune are all available on this wide road and sometimes they come to you very easily but there is a price to be paid. Some people think that they will give up all of their freedom and fun in order to become a Christian which is not true at all. I don’t miss waking up with a hangover or wondering where I was last night or who I was with (or in some cases what happened during that time). When your heart is changed your life will be too. Your friends will either follow you in your walk with Jesus or they won’t. If they can’t follow you then you will make new friends in Christ. Living your life for Him is far more rewarding than many people think it is. I have never seen a street paved with pure gold in Hollywood or anywhere else, so eternity is going to be far more rewarding than anything could be here. While it is true that your life on Earth has to end before your eternity begins, for me that is not such a big deal. I mean, there isn’t much here besides my family that I would rather stay here for anyway. One day, they will be with me in Heaven too, so my time will be short without them. It sounds as if I am ready to go and I am really, but I am going to wait until God decides on the day and time. The title of this piece almost sounds like “the long road home” and for some it may be. Some days it feels that way to me as well, but if you look at how short our life really is compared to eternity then it is easily put up with. I mean, our life at best can last say one hundred years. When you compare that to ten thousand or one million years, it is just a small speck like the period at the end of a sentence. Granted, time won’t be measured in hours or days or years in Heaven. Really, time won’t be measured at all, so you won’t even know how long you have been there. And…it won’t matter. No more death, disease, pain, or suffering of any kind. No more sunrise or set. Days and years won’t have a measure to stand anymore. The pathway which is wide and easy leads to eternity too but it is a different one than that in Heaven. It is the punishment for denying God and denial of His Grace and His Son’s sacrifice for your sins. Consider this before your life ends because the time to make that decision is today because you don’t have tomorrow…yet. I showered and shaved……………. I adjusted my tie. I got there and sat……………. In a pew just in time. Bowing my head in prayer………… As I closed my eyes. I saw the shoe of the man next to me……. Touching my own. I sighed. It bothered me, his shoe touching mine.. But it didn’t bother him much. ‘This man with the shoes, has no pride. They’re dusty, worn, and scratched. I tried to focus on the prayer……. But my thoughts were on his shoes again..
Then the prayer was ended………… And the songs of praise began . The Lord could surely hear.. The shoe man’s voice from the sky. It was time for the offering…….. And what I threw in was steep. I watched as the shoe man reached…. Into his pockets so deep. I saw what was pulled out………. What the shoe man put in. The sermon really bored me………. To tears, and that’s no lie. It was the same for the shoe man… For tears fell from his eyes. At the end of the service…….. As is the custom here. But I felt moved somehow……….. And wanted to meet the shoe man. So after the closing prayer…….. I reached over and shook his hand. He was old and his skin was dark….. And his hair was truly a mess….. There were tears in his eyes……… But he had a large, wide grin..
‘Let me explain,’ he said…………. Wiping tears from his eyes. ‘I know that my appearance………..Is not like all the rest. My heart filled with pain………… And I swallowed to hide my tears. Would pale in comparison…. I spoke from my heart, not my head. The rest, I thought,…………… This shoe man will never know. I saw this on Facebook and just wanted to share it with you. This is a subject that many people, including me, have a hard time with. I don’t really have a hard time forgiving others who may have hurt me in the past, but forgiving myself is another thing altogether. It is also hard to fathom forgiving someone who has abused children or even killed children, especially yours or someone else’s. I know that God can do this and if we truly follow His teachings and give our hearts to Jesus and let Him forgive others through us, then maybe that forgiveness is possible. But, forgiving myself for some wrong that I know that I did in the past is a hard thing to do sometimes. God does tell us to let Him have our hearts and He will wash away those pains and hurts which happened in the past. 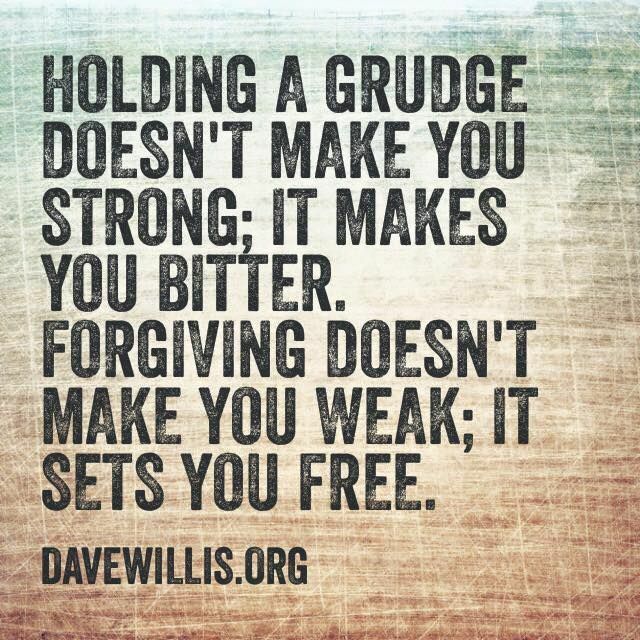 But, it still takes some effort on our part to truly forgive either myself or someone else. By effort I mean that we have to pray and ask Him to help us to forgive completely because we can’t do it on our own. Depending upon the hurt or the pain caused, forgiveness is one of the hardest parts of being a Christian. Forgiveness of other people as well as forgiving our own behavior from times past. Please, seek forgiveness from God for your own sins, mistakes, and anything else you have done. He provided the grace and mercy for you on the cross through Jesus, all that you need to do is accept it as the gift that it is and learn to forgive. Sometimes that learning curve can take a while, so seek Him daily. How much truth do you see in God’s Word? In the gospel? If it isn’t true and there is no Truth in it, then why believe? The Trinity has existed as three in One…as God for a very long time, long before we or anything else in Creation existed. How can we so arrogantly believe that God sent His Son to die and then abandoned Him there? The Holy Spirit was there, God was there and Jesus was on the cross, so He wasn’t abandoned at the cross exactly…He just felt that He was. His humanity felt that way! The same way that His human heart and His brain told Him to be afraid and anxious before the scourging and the crucifixion. It was His humanity which made Him feel alone, scared and helpless on the cross, but He wasn’t. Our truth is relative today because as psychologists put it, “your truth is not my truth”. This is a very clever lie from Satan. God loves each of us far more than we could ever know or comprehend, until we are in His Presence of course. You have the freedom to believe in Him and His Word or not, because it is necessary. Love doesn’t come to anyone unless it is free to be given in return as well as received from the other person. Yes, we are free to refuse His love for us if we choose and to live our lives in complete self-righteousness, thinking that we are good enough without Jesus. That we deserve to be allowed into Heaven on our own merits. The problem with that kind of thinking is that it is totally WRONG!! Until you give your heart to Jesus and allow Him to come in and fix the problems which you caused and to show you what real love actually is, you will always feel empty and without hope. This is what God wanted to save us from in the first place…ourselves. Because ever since the Fall, we have all been born with a seed of sin in our hearts. Toddlers will lie to you without even knowing what they are doing, so that proves that sin is there. God loves us anyway!! He created all of us and He knows the desires and needs of our heart even when we weren’t born yet. From the moment you were conceived until your death, God knows what you will do, when you will do it and why. He doesn’t force the decisions on you, but He knows what those decisions are or will be, and until you give your life to Him, He will watch you and be with you regardless until you figure out that you really need Him. Seek Him out before it gets too far or before your life gets out of control! He is there and always has been, so make sure that you know Him before your life is over and your chance to know Him as Savior is gone for good. In today’s world, on the news, in your home town even, it seems that there is a lot of anger. You see the effects of it every day on the news and in your neighborhood. You see it and hear it sometimes in your own home. But…everyone seems to brush it under the rug and ignore it until, one day something blows up. Frustration with our government or with your family builds and builds until one day it is in the news on television. A couple kills each other over supposed infidelity, whether true or not the end result is that two people are dead. Someone straps a bomb to themselves because they were taught to hate other people who worship differently and they go to a marketplace and blow themselves up and kill as many people, men, women and children, as they can. What did that accomplish? It is hard to understand these things because we don’t know what happened to cause them. Sometimes, it is a senseless thing which is happening, at other times it seems that there is a reason for it. Outside the culture or the neighborhood or even the family, the reporters and the rest of the public just don’t understand what caused this? Why did it happen the way it did? Is anyone responsible? We don’t understand the reason even if one is given via email or post on social media, so how can we help? Can we help? Is there anything that someone could do or say to help in these situations? The truthful answer is: we don’t know. I can’t understand the mindset of a person or a group of people whose intent is to do these things. Is there a way to help? The only answer that I can come up with, comes from God’s Word: Love your neighbor as yourself. So, why aren’t people being taught this instead of hate? Because the world and those in it don’t like to hear the truth from an indisputable source. The world and its religions, besides Christian religions, doesn’t want to hear this and they can’t come back with a saying or a truth from their religions which is better! The advice and love and mercy which comes from God’s Word can be disbelieved and thrown in the trash but you can’t find better wisdom and knowledge because it came from Him. God is the ultimate Creator and King of all and His wisdom is beyond our understanding. His wisdom is above us as we are above an ant or a snail, yet each of those is wise in their own way. The ant does his gathering for when things are tough, the snail does what God designed him to do because he is a snail. We are created in His image to be like Him and in order to be like Him we should learn about Him and walk with Him daily. Not weekly or once every month or just a couple of times in the year, but every day that you wake up thank Him for that day and be thankful for the opportunities that you may have during that day. Living daily with Him and through Him is not something which is easy, you have to purpose and decide to follow Him daily. Christians all over the world, those who are saved by their belief in Him Who saved them, neglect to do this even though they belong to Him. Why? Because, after their salvation they feel that they have all that they need from God until something happens and then they call on Him to give them help and healing. It is something which you see in the Old Testament from one chapter to the next, following God while they are without enemies or without drought. Then, they forget the One Who saved them from their enemies or from a drought and go back to living as they wish to until some other calamity comes upon them. I am not saying that living with God daily, reading His Word and praying to give Him praise for His grace and mercy will give you a life without problems, it will not! We are not perfect, we will all fail in our faith at some point, but God is gracious and will forgive us if we will confess it and turn back to Him again. Life, even the life of a Christian, is not easy but as a follower of Christ, Satan will attempt to cause you to fall in the sight of all so that your witness to them is taken away. Sometimes, your witness will be stained not by Satan but by your past. If you are called to be a minister in an area where people have known you for most of your life, like Jesus when He came to Nazareth, many won’t hear the Word of God that you preach but will be listening to you as you were when you were younger. Do not fail to deliver the Word in your calling, regardless of their view of you or their opinion, because that is what God called you to do. If they accept it and repent then God brought it about, if not then they weren’t listening with their spiritual ears to begin with.